SKU: POC02. Categories: Trays, Party & Event, Serving Equipment. 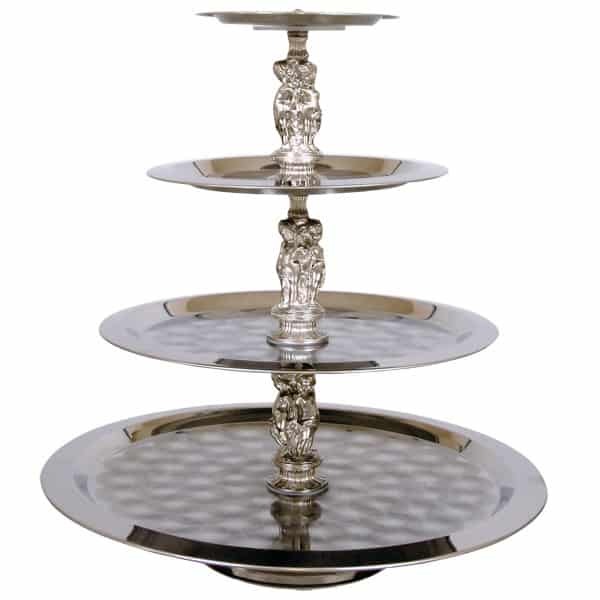 Tags: 4 tier tray, serving tray, silver tray. This 4 tier silver tray is a great serving piece to which can be used to save table space. The tiers measure 10″, 15″, 20″, & 25″ respectively and the complete tray is 30″ tall. Great for any event, fancy or informal!